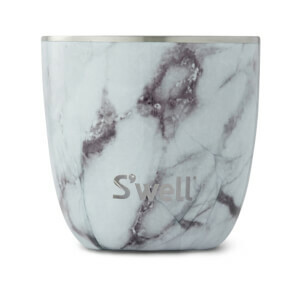 The S’well White Marble Tumbler is the perfect picnic accessory. 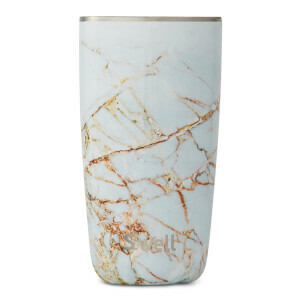 The unique tumbler, inspired by organic marble with natural veins, features a shiny, high-gloss finish. 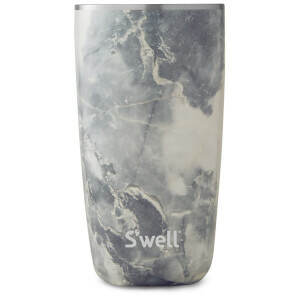 Crafted from triple walled stainless steel, it boasts a no-stain interior and tough exterior, a thin rim that ensures a comfortable drinking experience and a no-sweat grip. When used in conjunction with a S’well bottle, it makes the ultimate outdoor drinking set and is ideaI for camping, trekking, picnics and barbecues. Please Note: Lid Sold Separately. Dimensions: H: 15cm x Ø: 8cm. Dimensions: H: 15cm x Ø: 8cm. Capacity: 530ml/18oz. 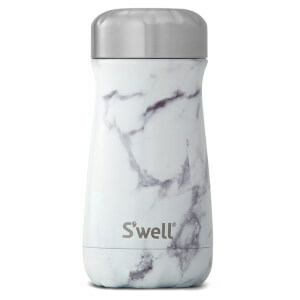 Please Note: Each S’well bottle’s design and print is unique and may vary from the images shown.